As of one of the seacoast’s premier interior design firms, Life Styled has created stunning, timeless interiors across the coastline of New England and beyond. Their mission is to design appealing yet approachable spaces that clients want to live in; spaces their clients cannot wait to make memories in. With an eye for quality, a superior sense of style and a client-centered approach to business, Owner and Principal Designer, Ashley Kelley, has proven herself as an innovative designer. She offers a balance of creativity and forward thinking with an organized and detailed mentality; allowing her to deliver and follow through with every aspect of each design. Life Styled works in collaboration with architects and builders to execute each vision, allowing them to optimize interiors beyond the decor. From grand coastal homes to modern office spaces, Ashley and her team at Life Styled have created beautiful, award-winning interiors that are exclusive and perfectly functional for every client. 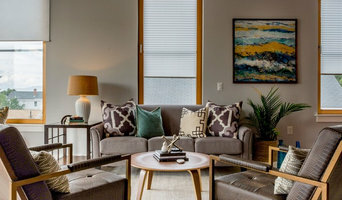 Life Styled is a full-scale interior design firm with services ranging from room-to-room decorating and color consultations to whole-home and new construction planning and design. Hanna Schaffer is the co-founder and principal designer of Forest + Ash, formerly principal and owner of H. interior design. She studied Art History at Muhlenberg College and earned her Master’s Degree in interior design from Pratt institute in 2000. Her past experience, ranging from designing commercial spaces to staging new build houses to renovating historical homes, lends to her unique perspective today. Hanna’s formal art and design education along with her professional experience allows her to create spaces of all styles and budget. Forest + Ash is a full service interior design studio. 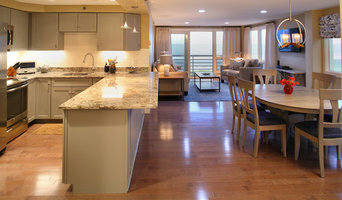 We work with both residential and commercial owners with a focus on creating timeless and functional spaces that fit each individual client and their lifestyle. Whether we are working on a single room, an entire home or with a commercial developer Forest + Ash will create beautiful spaces with a fresh and modern approach. With nearly 20 years of designing at both an International and Bi-Coastal level, Roberta Garrison - Principal of INTERIORS BY ROBERTA - is known for creating unique spaces. She seamlessly blends traditional pieces with modern elements resulting in a timeless Classical style. Opening spaces to enhancing views and maximize light, she showcases the house inside and out. Roberta focuses on the Client's needs as well as wants. She optimizes the flow and functionality for all occupants. Known for her timeless elegance and unique color schemes executes her concepts that drive each design. Roberta also has a passion for all forms of art and showcasing special elements through architectural lighting. 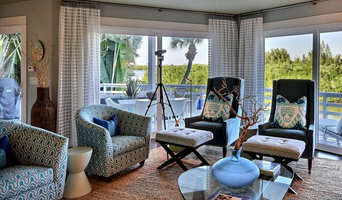 Roberta is a Professional Member of the American Society of Interior Designers (A.S.I.D. ), as such she is disciplined, organized and a skilled business person. Her main goal is to work with clients to develop design solutions that are aesthetically appealing, technically sophisticated and pragmatically satisfying. With such a blend of education, experience, and passionate nature, Roberta attributes her gift of classical taste to her exposure to life in Vienna and Paris where her family served as Cultural Attachés for many years. Roberta strongly believes that a strong Client–Designer relationship is an integral ingredient throughout the project. She relies on the highly qualified members of her Design/Build team. Her team understands that only the highest standards and quality are acceptable. Moreover, communication and trust are key. Spruce Interiors is a home staging and interior decorating company with the main goal of helping our clients love the room they're with. 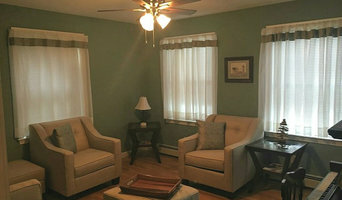 We offer a range of services including home staging, room makeovers, paint color consults, personal shopping, and interior design and decorating. Our greatest pleasure is creating a space you'll love to be in, whether you're staying or selling.